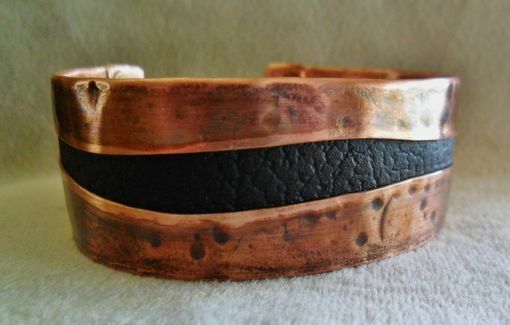 Beautiful dark chocolate brown color leather sits down the center of a hammered copper cuff bracelet. A light patina was applied for more dimension to the metal. Can be for a man or a woman. 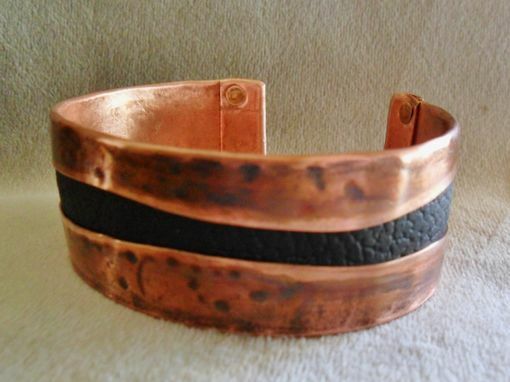 The copper down the center has a gentle wave design along with copper end caps set with rivets. 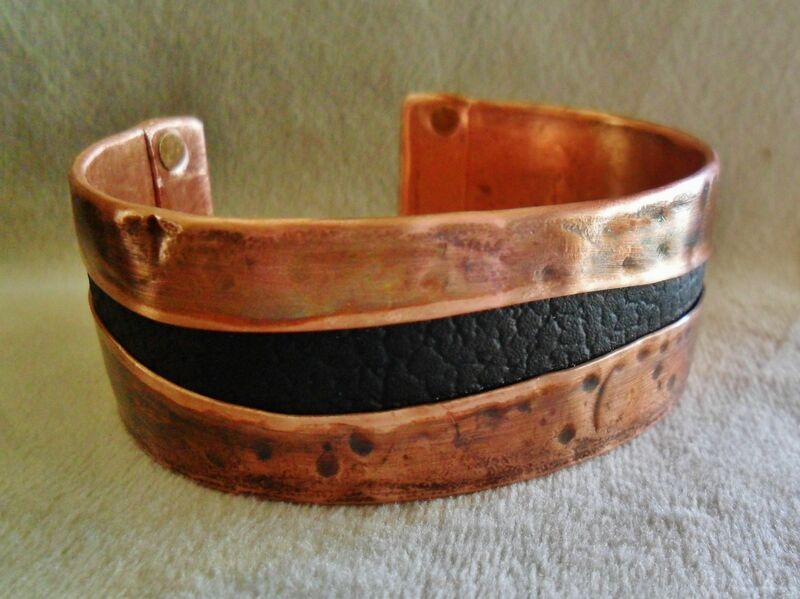 The cuff is made to order which will have some variances with the hammering and wave design as you see pictured. 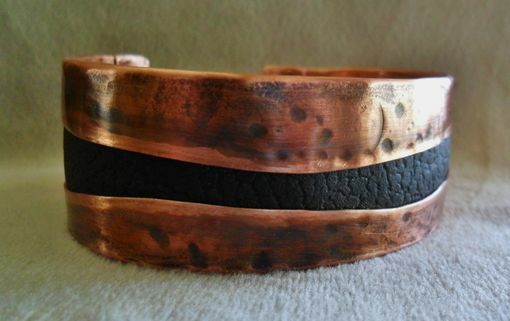 However, this will make it your own custom made piece. Please allow 1-3 business days for me to create your piece. 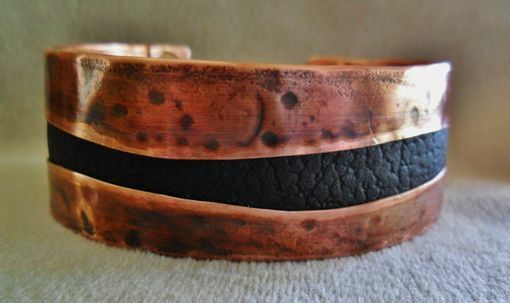 This piece is sealed with a non-yellowing jewelers lacquer to maintain the patina. It comes in a width of 1 inch wide and you can choose your length above.